New to SD? 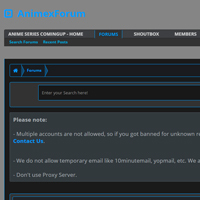 You can see the forum rules here, and also have any questions you may have answered. If you have a suggestion, feel free to share it. The place where your dream come true, or, you know.... luck happens and you win something. How about taking part in some of your contests, think you can win? Discuss Dragon Ball related content here! The Fate series is a TYPE-MOON media collective that follows various events called Holy Grail Wars that involve Masters, generally accomplished magi, summoning Servants, Heroic Spirits, and battling each other until the last remaining pair can claim the purported Holy Grail. 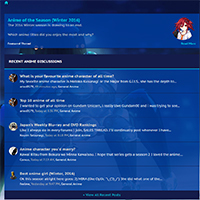 It began with the visual novel, Fate/stay night, and has since gathered a number of prequels, sequels, spinoffs, and adaptations bearing the same "Fate" name. 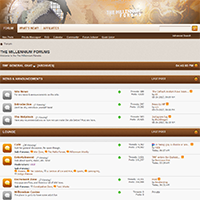 General Anime, Manga, Light Novel, Visual Novel industry discussion can be conducted here! Discussions pertaining to Anime can be carried on here, have fun! Discussions pertaining to Manga can be carried on here, have fun! Into Novels, huh? This is the place for you, whether it be Visual, or Light. Artistic content can be posted here! Games, games and some more games - chat about gaming related things here! Talk about your favorite t.v shows, movies and sports here. Join or create a Fan Club with a group of members. Wish a Happy Birthday to the following Members! The most users were online on . Multiplatform Any recent games you've played or plan on? So one of my doctor's was basically killing me - how's everyone else's night going? creepy msg in my inbox aside, what up? I've reached 14k ancestors and 15k photos on ancestry wuu/though my tree has errors in it, its easily manageable with the unlink thing.